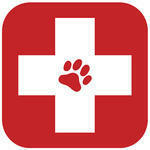 New to Apache Animal Hospital? Save time by filling out our new patient registration form online. Also, don't forget to submit your email and phone number below to receive our $20 new client discount!